By implementing an efficiently structured wiring design you take advantage of the latest high speed communication technologies and entertainment systems as well as all the possible technological improvements that are to be made in the foreseeable future. The structured wiring involves your phone and fax lines, data cabling and audio and video distribution. Through installing the correct cable infrastructure you will be able to maximise the benefit of the individual elements with an overarching control system. 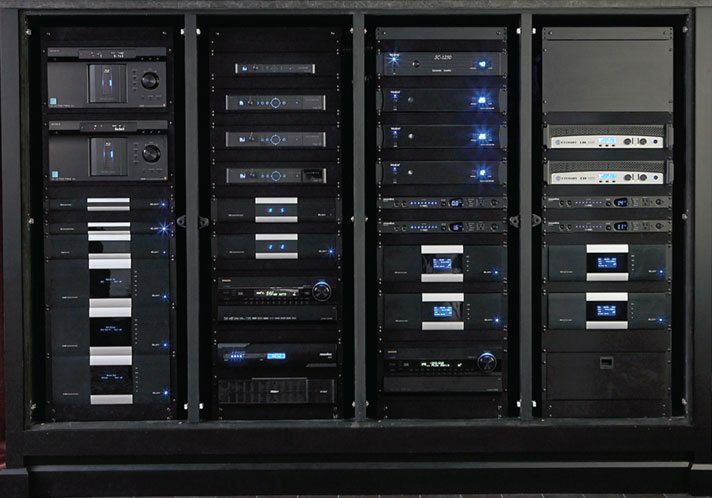 By bringing and terminating all these services into a central control location (your home’s own mini control centre), you are able to reconfigure systems as all the wiring has already been established throughout the home and you are just adjusting how your system works together or improve your system with the latest technologies. If you want to take full advantage of the NBN rollout then you should be speaking to us. There are a number of NBN ready modems and data processors that have already been pre-released with amazing speed capabilities.